With breathtaking views of cobalt blue seas and clifftop villages wreathed in bougainvillea, the Amalfi Coast is one of the great yachting destinations of the world. Each summer, luxury yachts flock to the towns and island of the Amalfi Coast to savour the decadent pleasures of this splendid place. It is the yachting dream to travel this coastline in your very own yacht, whether you own the yacht outright or are a co-owner in a yacht share on the Amalfi Coast. To journey along the Amalfi Coast in a luxury yacht is a feast for the senses. 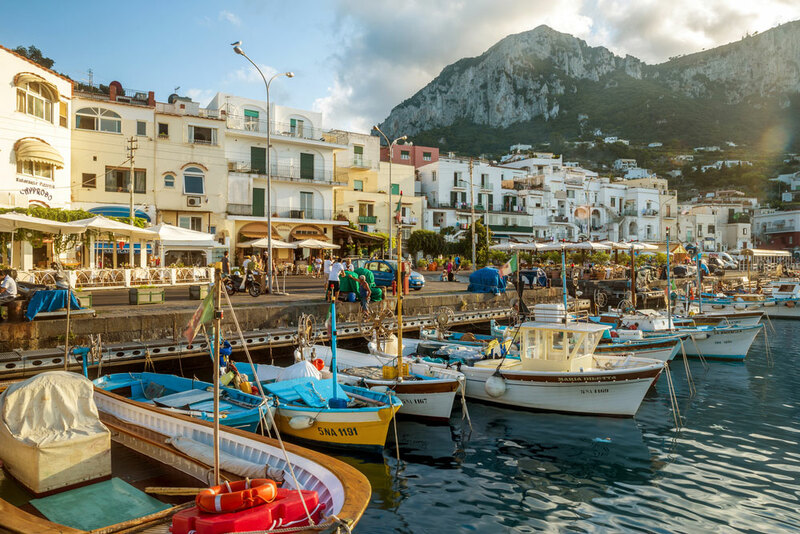 In Capri you can float through the ethereal Blue Grotto, before taking the funicular up to the village to dine on a clifftop terrace among the lemon trees, and shop in the haute couture boutiques. On beautiful Ischia, you can soak in the hot springs in lush gardens on the cliffs and explore volcanic beaches. Arriving in Positano is a delight, with pastel-coloured houses clinging to the steep hillside, its cobbled lanes lined with world-class restaurants and boutiques. 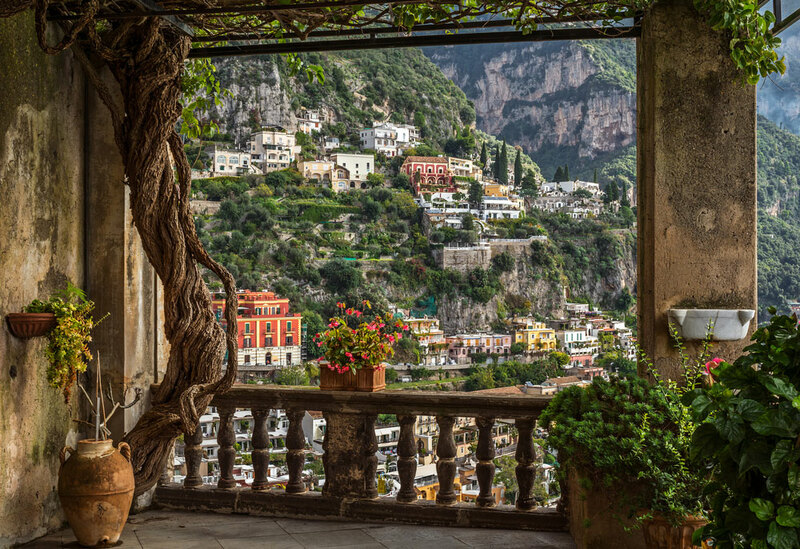 On the mainland, Amalfi astonishes with its splendid Arab-Norman Cathedral and its rolling olive and citrus groves. Deliciously pretty Sorrento cannot fail to enchant with its vista of volcano and sea. 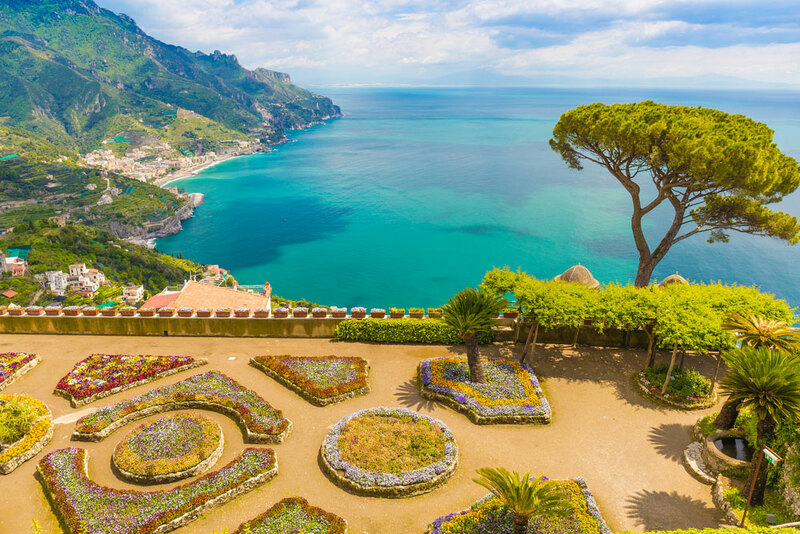 Finally, you’ll discover the jewel of Ravello, a village with heart-stopping views of the Amalfi Coast, as well as some ultra-luxurious clifftop hotels. As you float along the Amalfi Coast, swimming and dining the days away, you’ll realise that to own or co-own a yacht on the Amalfi Coast is sheer yachting bliss. For many people, owning a luxury yacht outright isn’t practical—even if the Amalfi Coast is calling. Sole ownership of a superyacht is a significant expense and administration burden, while for many people, owning a yacht on their own just isn’t a good investment, simply because they don’t have enough spare time to spend onboard throughout the year. And the other available option, chartering a yacht, simply isn’t the same as ownership – you don’t know the crew; the yacht isn’t set up with your personal belongings; and you never quite forget that it’s not your yacht. You just can’t relax in the same way: it’s not home. Luckily, there’s a third way for savvy yacht owners. Fractional ownership allows you to co-own a yacht with a yacht share on the Amalfi Coast, a yacht share in the Mediterranean, or even a global yacht share, where the yacht that you co-own summers in the Med before relocating to the tropical Seychelles for the winter season. In this way, owners get to minimise the cost of yacht ownership with a Mediterranean yacht share, just using the yacht when they want to and not paying for it for the other months of the year. The fractional ownership company also takes care of all the management of the yacht for you, ensuring that your yacht is professionally crewed, immaculately maintained, and provisioned to your exact specifications when you arrive. A yacht share on the Amalfi Coast really is a dream come true, affording you all the pleasures of yacht ownership, with dramatically reduced outlay and no administration headaches. Can you picture yourself floating along the Amalfi Coast this summer as a yacht owner?